It’s been past a decade, Max Holidays is organising well designed small group tour packages as per the choice of like-minded travellers. These India Group Tours are stacked with altogether a unique travel style which allows every traveller to have experience as a local. 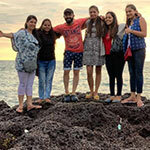 The small group tours to India are designed in such a way that it fits to the budget of traveller with comfort and unbeatable services by Max Holidays. Thinking about opting tour groups everyone will have questions in mind related to budget, experience, comfort, safety, etc. but there is nothing to get worried, we Max Holidays are here to organise everything for you. Our India group tour packages not only includes a visit to popular destinations, instead you can find many ad on trips in most of the cities, which are especially chosen considering the special interest of the traveller. To get the real experience as a local, one need to explore the city as their home town, and best way is by opting some optional trips like a walk through the local bazaars (markets) to get in direct contact with the locals to know their culture, food walk, culinary classes, a visit to NGO’s, etc. We Max Holidays are here to serve you with the best of our services. "Hello Vishal Gogia, I am extremely satisfied with the service provided by Max and I would highly recommend your company to any one visiting India. The guides were extremely helpful and wonderful. Drivers, car and meals were all excellent. The hotels were all of high quality. I am planning my next trip to India this coming November, so l will get in touch again with you all once again. Hope to see you soon"
"Since childhood, I wanted to make traveling as an important aspect in my life because this is something which makes me feel alive. It’s always been my passion to explore new places around the world, knowing about different culture and religion. To be honest, initially I was concerned while booking our trip with Max Holidays" but now I don’t regret my decision of choosing them as they did a fantastic job. Cheers to Max Team!" "I would like to talk about Max Holidays Ltd. While surfing on the internet I came across the web page of Max Holidays Pvt Ltd. and found their group itineraries very interesting so tried to approach them online. It was very easy booking the tour and making payments to them. After coming back to home, I must admit that it was once in a lifetime trip to Asia and the entire team of Max Holidays has done a great job." 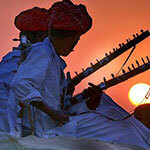 Why Opt For a Group Tour?